Kettering and the surrounding areas, including Barton Seagrave, Burton Latimer, Pytchley, Isham, Cransley, Glendon, Wellingborough and Corby, boast some large, open and green spaces, some designed for public enjoyment and most owned by businesses, government organisations and private commercial undertakings. These spaces make the landscape of Kettering appear lush, green and well-maintained, a reputation to be continued by both commercial and residential landowners. An area interspersed with green spaces such as Kettering Golf Club, Wicksteed Park, Pytchley Golf Lodge, Weekley Glebe playing field, Grafton Street Park - as well as those further afield, such as Broughton Village Hall – Kettering has an overall natural appearance, despite the large population and commercialisation within the centre. Thanks to Kettering’s industrial roots, there are a large number of commercial and business properties within the area; many of which have large green spaces and natural foliage surrounding them, such as Kettering Conference Centre, Lake Avenue area and Kettering Rugby Football Club. With over 128 schools in the Kettering area, 52 nursing homes and multiple parks and green spaces for public enjoyment, the area is one which benefits from regular maintenance and grounds upkeep. At Ricky Tyler, we know the importance of feeling secure in your business, especially when it comes to schools and care homes – which is why every employee we have is DBS checked and maintains the highest professional standards whilst on-site. 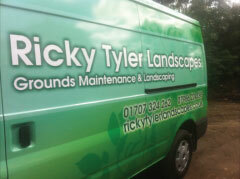 Ricky Tyler landscapes offers a variety of services to keep commercial spaces and areas looking their best and maintaining the local standards – well-maintained business grounds can vastly improve business, boost the local area’s reputation and impact on staff and resident’s morale. Kettering has a population of almost 23,000 residents, and whilst council-owned properties and local commercial areas take some responsibility for the appearance of the area, it is also helpful for residents to play their part in ensuring that gardens, grass and land is well-maintained and looked after, to keep the standard of Kettering’s natural landscapes up to standard. Ricky Tyler Landscapes offers several services, from complete landscaping overhauls, To regular, scheduled maintenance and care for residents within Kettering and surrounding areas. Keeping disruption to a minimum, we work with our clients as partners to ensure that our work is timed to suit your schedule and will not impact your home or working life. 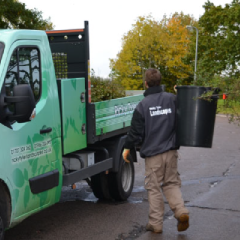 Ricky Tyler Landscapes can provide gardening and grounds maintenance services including Kettering Grounds Maintenance covering Kettering, Northamptonshire .